This webinar tells people more about the ACTIVE project. ACTIVE stands for Authors and Consumers Together Impacting on eVidencE. The project is bringing together evidence, information and resources about the active involvement of consumers in systematic reviews to create learning resources to help review authors involve consumers within systematic reviews. 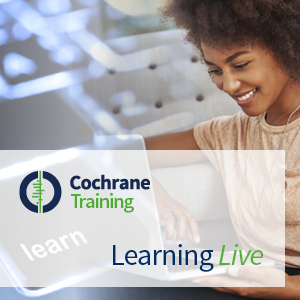 This Cochrane Learning Live webinar was presented by Dr Alex Pollock and Dr Pauline Campbell, who are both based at the Nursing, Midwifery and Allied Health Professionals Research Unit, Glasgow Caledonian University in the UK. The webinar was delivered in October 2016. Below you will find the recordings from the webinar, as well as presentation slides and accompanying materials to download. You can find out more about the ACTIVE project here.